Plot: Lexington, Kentucky, 2004. Four young men attempt to execute one of the most audacious art heists in the history of the United States. I watched this last night and it was brilliant. It's from the Bart Layton, the director of The Imposter. 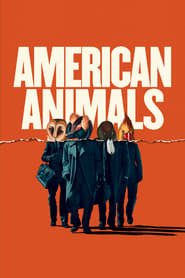 It also uses a similar way of blending documentary with movie interpretations of what happened very well, and funny at times, and done in a completely different way to The Imposter. Barry Keoghan is excellent in it, very natural, especially with the American accent. Evan Peters is also a standout, and both seem perfectly matched to their real-life counterparts. If you haven't seen or heard of it, I highly recommend. Seen it, a very well thought out theft. If the movie is a true reflection of what happened they should have been sentenced to an extra 10 years for being thick as fook.